The World's Most Complete One-stop Platform of LED Industrial Chain - USER Special Display Technologies Co., Ltd. Established in 2005, LED CHINA is the initiator of the international LED exhibition in the world. Being the benchmark of the global LED industrial chain, LED CHINA·Shenzhen is devoted to build a complete one-stop platform with a wide range of LED related products, LED applications in different industrial fields and integrated solutions in extended market segments. 2019 China (Shenzhen) International LED Exhibition was held in Shenzhen Convention and Exhibition Center. As one of the largest LED exhibitions in the world, this year's LED exhibition attracted more than 600 exhibitors from all over the world. 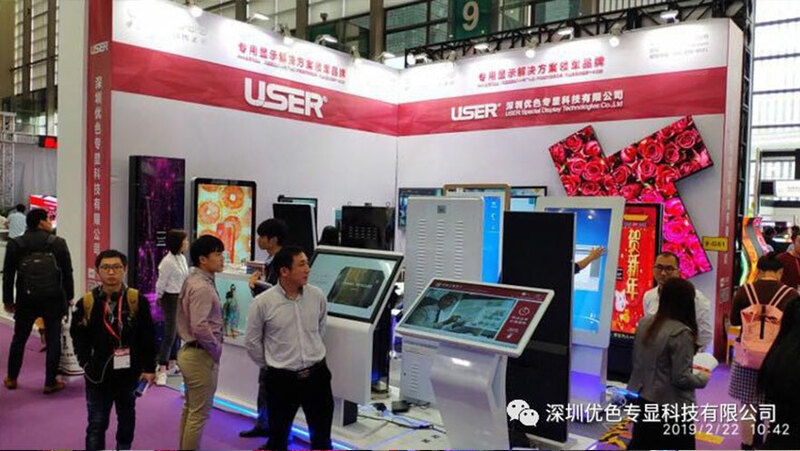 More than 40,000 people from home and abroad, covering more than 120 National and regional, U-color show that the debut of the 2019 Shenzhen International LED Exhibition, on behalf of the Chinese commercial display companies with new products and domestic and foreign brands on the same stage to showcase the Chinese commercial display enterprise style. 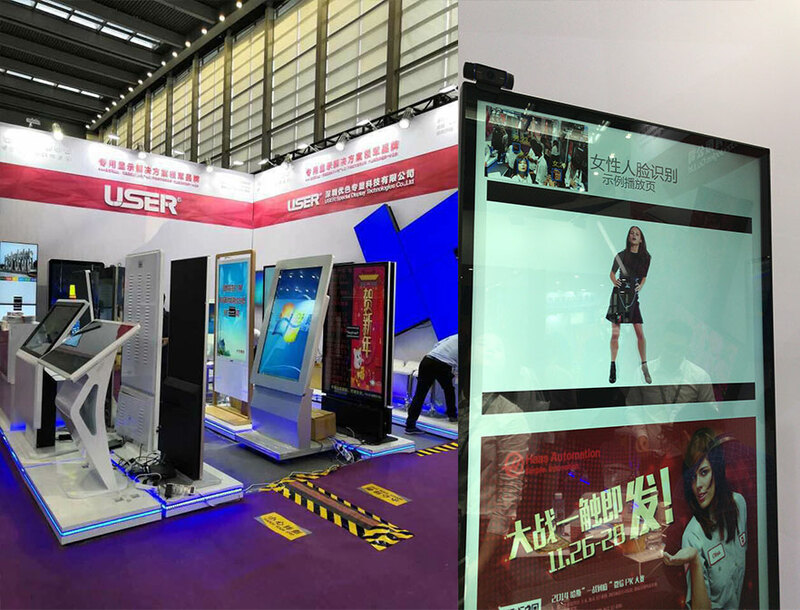 USER SDT have a booth in Hall 9 / G61 and launched 65-inch double-sided advertising display, motion sensor mirror advertising booth, transparent LCD advertising display, Glasses-Free 3D advertising display, mobile phone on-screen conference solution, face recognition fixed-point advertising system, shopping mall way-finding system, many kinds of commercial display products, such as 4K HD splicing screen, display content covers consumer electronics terminals, intelligent hardware, smart retail, artificial intelligence, digital entertainment and other fields. Which have attracted many customers to watch and communicate. Shenzhen USER Special Display Technologies Co.,Ltd. ,which is as the leading manufacturer in LCD industry, based in China . At present, USER SDT can customize displays from 5 to 107 inches. 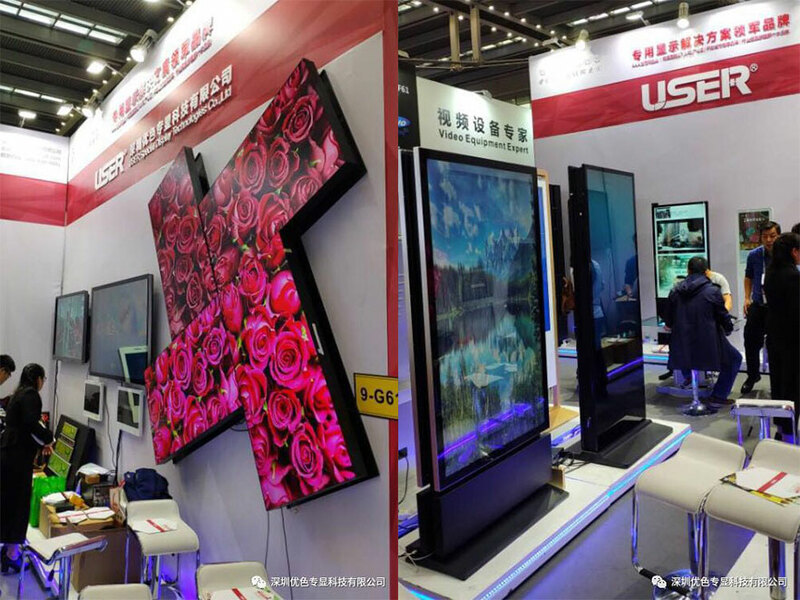 Our product line-up is divided into several segments, such as; CCTV LCD monitors, industrial LCD screens, commercial advertising displays, Touch screens, interactive / intelligent kiosks and Ultra-thin bezel video walls. All these products can also be customized according to your requirements. TARGET: become the best and most trusted brand of professional custom designed digital signage solutions in the world. © 2018 Shenzhen USER Special Display Technologies Co., Ltd.